One of the simplest foods but also one of the delicious. Just something about hotdogs in any form is just divine. Don’t like doggies in a blankie? 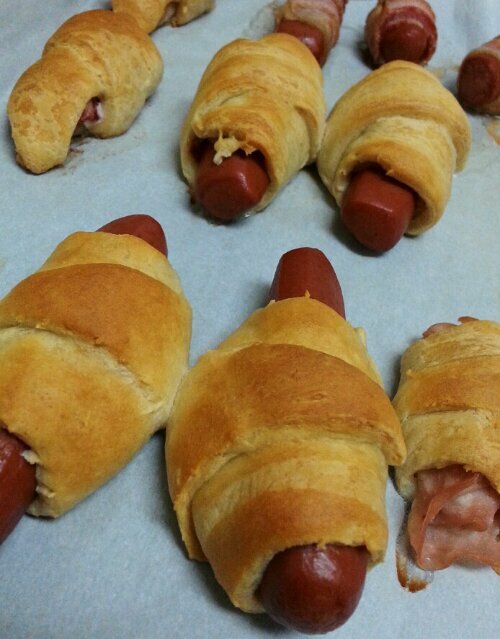 Wrap your favorite meat in these blankies. It might be strange or a little out of the norm but cooking is about being creative and exploring new recipes. So go out there and all kinds of new grounds!